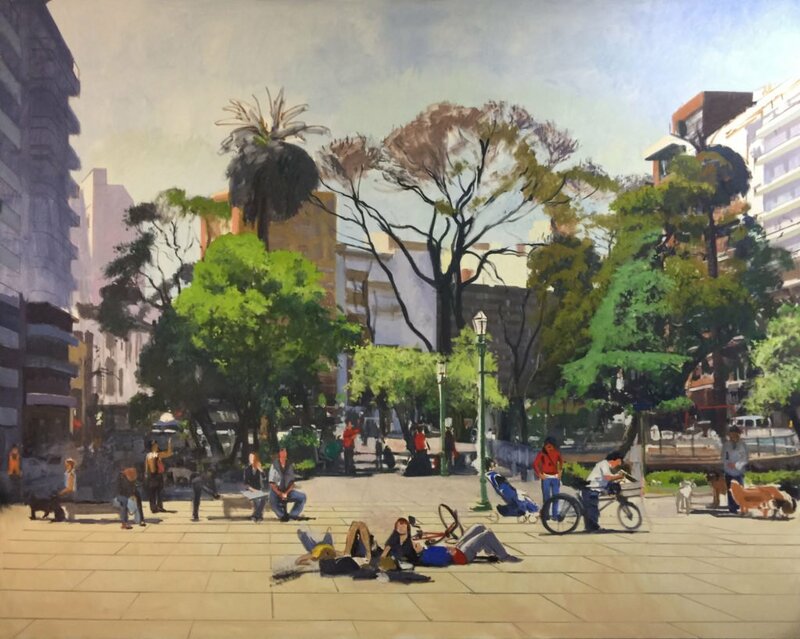 This is a long-term project, a painting of Plaza Guemes. Plaza Guemes is a public square in the Palermo Viejo district of Buenos Aires, Argentina. 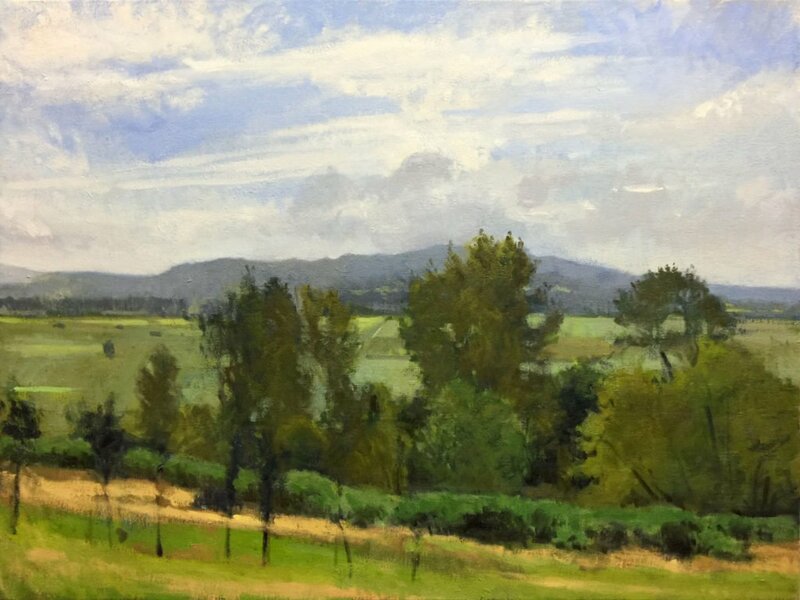 This work in progress was begun earlier in the summer, while everything was still green. The valley is still predominately green, but beginning to shade into fall colors. You can follow its progress on my Painter’s Workshop page.